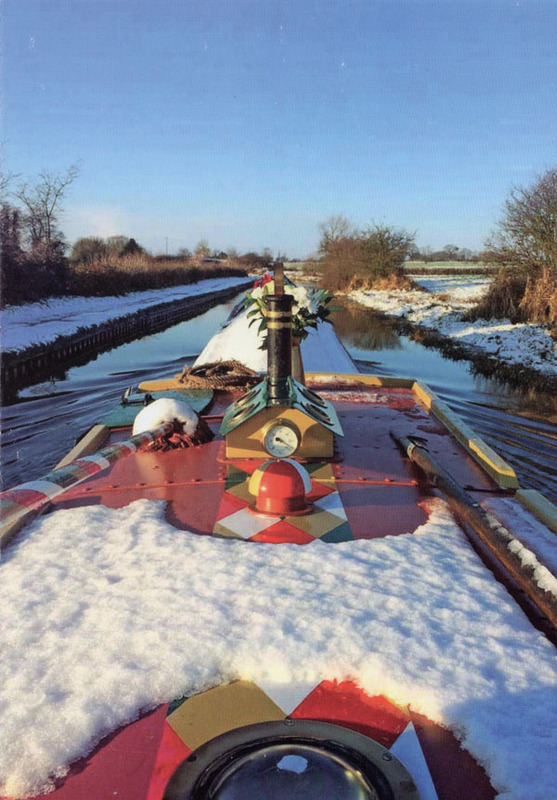 The Historic Narrow Boat Club was formed in 1966 and is a not-for-profit club dedicated to preserving the working heritage of UK canals, from the boats themselves to details of the waterways on which they travel. We are passionate about working boats, traditional skills, the built heritage, and the practices and courtesies of the working boat people. We are an active pressure group for navigational and waterway heritage interests and we welcome all who support our aims, whether boat owners or not. By supporting the Club, you are helping to ensure that the UK’s canals retain their unique heritage value. We hope you enjoy exploring this website. Our quarterly newsletter, full of interesting articles. Discount offers on boating equipment and services. Access to the ever increasing wealth of information in our narrow boat register and archive. Twice yearly members’ meetings – the AGM in March and the winter social in November, both with interesting speakers. You can join us as an individual, joint or associate member. 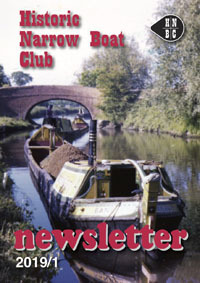 The Club's Newsletter is published quarterly. This is a high quality and lavishly illustrated colour publication with many fascinating features of interest to enthusiasts of historic boats. Read "taster" Newsletter articles here. Back issues are available in limited quantities from the Club shop. Why not join the club and get your copy hot off the press every quarter? Further information and booking details on IWA website. Bookings via Steve Bingham - contact details in HNBC Newsletter 2019/1 page 42. We have two new designs for 2018. Here is the Whitby on a crisp winter's day on the Trent & Mersey canal. Buy your supplies through our Shop. Has your boat been stuck on the waterways? Too shallow, too narrow, too short, too low? It is very difficult to predict where one boat will get through and another will stick, but there are some well known tricky areas, and we're keen to have up-to-date information so we can identify new problems as well as old restrictions that are getting worse. Please tell us where you've been stuck, with plenty of detail - eg were you going up or down in a lock, did you stick in the middle? Also whereabouts on your boat - eg the front bends, the engine'ole bulkhead, the skeg. Read our current list here. Don't just sort it yourself - tell CRT (03030 40 40 40) so that the problem is logged and then let us know so we can chase it up. Here is our pinchpoints form, or you can email navigation@hnbc.org.uk. Many thanks. CRT have published a map showing the waterways for which they are responsible - click here. There is also a Contact Form for telling them about problems. The Boat Safety Scheme (BSS) has launched a public consultation proposing BSS requirements for carbon monoxide (CO) alarms on boats. The proposals promote checks to be introduced for suitable CO alarms in good condition and in suitable locations on all classes of boat with accommodation spaces. The proposed mandatory new BSS Requirements are intended to come into effect from January 2019 and be implemented as BSS Checks on 1 April 2019. Here's a great little video showing the safe way to use lock paddles - only just over 6 minutes long but well worth a watch. Click here, sit back and enjoy! Iain MacTavish, the Club's North Wales and Border area rep, has devised a schematic reporting grid that you can download here and mark where on the brickwork your boat sticks. Please send reports to him on nwbrep@hnbc.org.uk. Thank you! Tell us about Winding Holes! Have you spotted a winding hole that's been chained off, or now has boats permanently moored in it, or where the width's been reduced? Please let us know so we can lobby navigation authorities to try to get these vital areas improved or reinstated. HNBC carried out a joint survey with the Inland Waterways Association because both organisations are concerned about the gradual loss of these turning points. The survey results are now being studied, but if you spot anything new, please let us know anyway by emailing navigation@hnbc.org.uk.